There are various ways to support the CBCF and the Avoice Heritage Celebration. View our sponsorship guide for more information. February 26, 2019, 6:00 - 8:30 p.m.
Join the Congressional Black Caucus Foundation, Inc. (CBCF) for the 10th Annual Heritage Celebration in Washington, DC on February 26, 2019. This event lauds the legacy of African American legislators and acknowledges efforts to preserve African American legislative history. 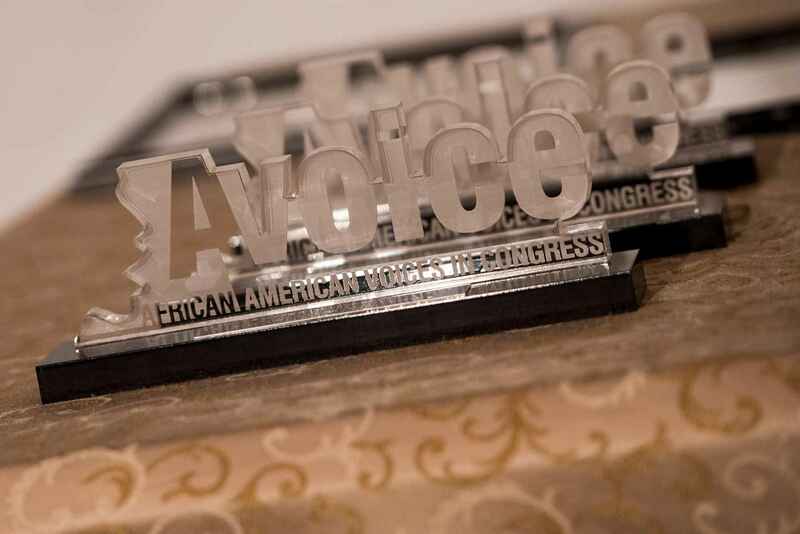 The Heritage Celebration raises funds to support CBCF’s digital archive, Avoice: African American Voices in Congress (www.avoiceonline.org). This virtual library captures the legislative and political achievements of African Americans in Congress and the federal issues impacting the African American community. 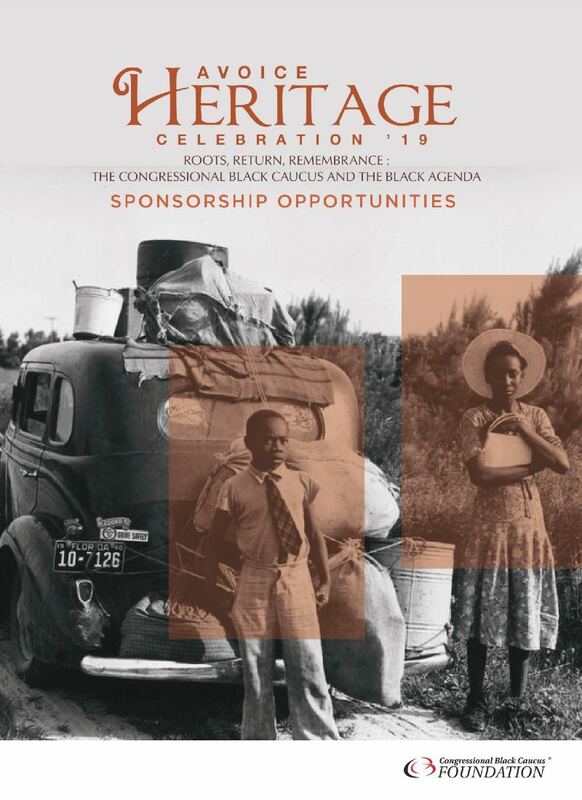 The 2019 Heritage theme, “Roots, Return, Remembrance: The Congressional Black Caucus and the Black Agenda,” will honor leaders who have significantly impacted the global Black diaspora through a political, social and historical agenda of empowerment. 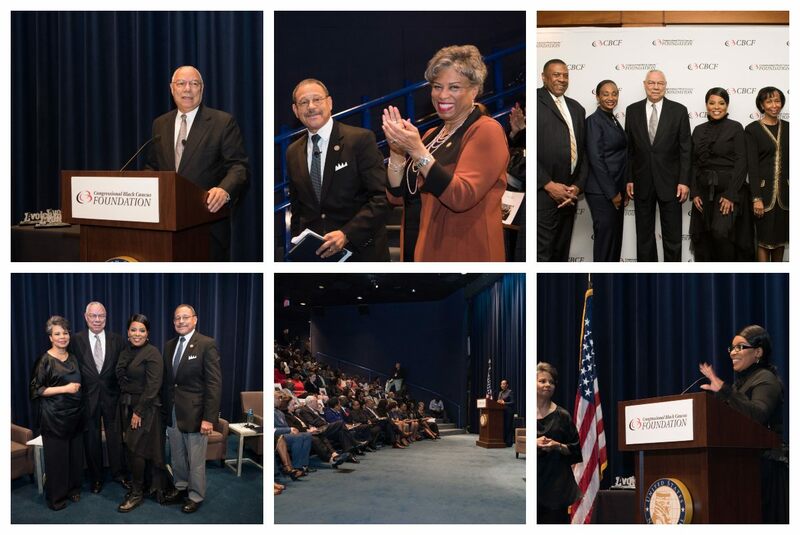 This year, our awardees will be noted historian and CBCF Board Member, Dr. Henry Louis “Skip” Gates and CBC members, Reps. Maxine Waters, Eddie Bernice Johnson, Robert “Bobby” Scott, Bennie Thompson, Elijah Cummings and Karen Bass—the five House full committees chairs of the 116th Congress and the new chair of the CBC. The program will begin with the presentation of awards and a screening of a brief video that will feature the family histories of the honorees. On this momentous anniversary of 400 years since Africans became enslaved in America, Heritage 2019 will remember and reflect on the many diverse stories of migration by Black Americans and how these personal journeys shape the mission of the CBC. The program will end with a panel discussion with the committee chairs, conversing about their life stories related to their roots and black migration. The program’s proceeds support the AVOICE Virtual Library Project, a digital archive of nine exhibits that showcase the CBC’s history and contemporary impact on public policies affecting Black Americans. 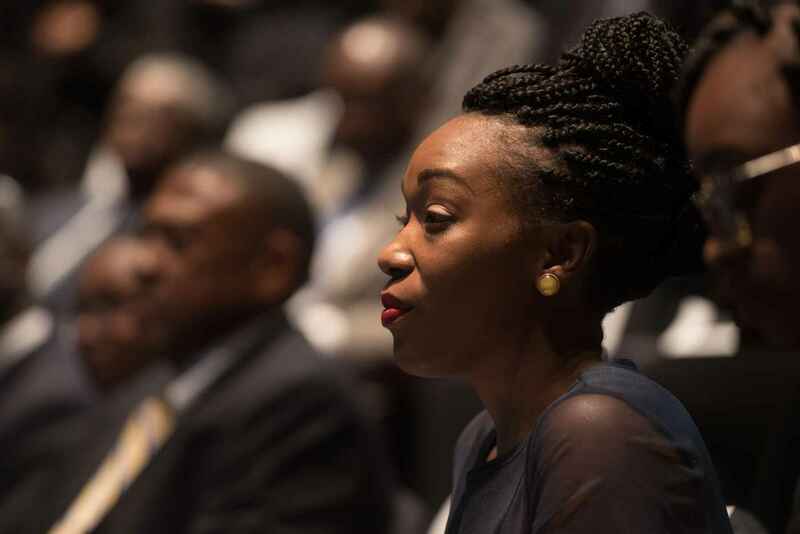 Relive the experience from the Ninth Annual Avoice Heritage Celebration. Please considering supporting CBCF's mission and the Avoice Virtual Library by making a a generous contribution. The Congressional Black Caucus Foundation is a 501(c)(3) nonprofit organization. your contribution is tax-deductible to the extend allowed by law. No goods or services were provided in exchange for your generous financial contribution. Visit the Avoice Virtual Library! 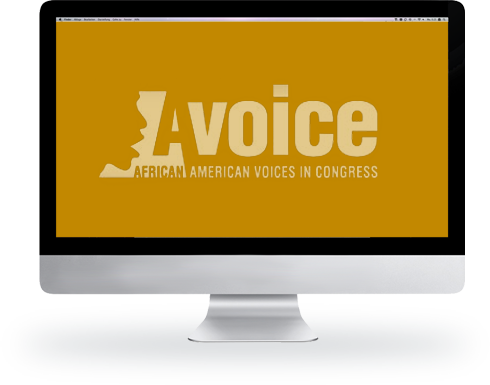 The Avoice virtual library project is a digital repository that provides comprehensive overviews of historic legislative events featuring archival images and documents. The Center for Policy Analysis and Research (CPAR) archives the rich history of black members of Congress in one of the largest digital archives in the world. It is a central source of information about African American historical and contemporary policy issues.